An original NeXT Computer was used by web inventor Sir Tim Berners-Lee as the first web server and this replica was in homage to that. I used photographic references to figure out and to scale the dimensions, correcting for perpective where needed. I drew up the designs in Fusion 360, sliced with Cura and printed on an Ultimaker 2+ 3D printer. 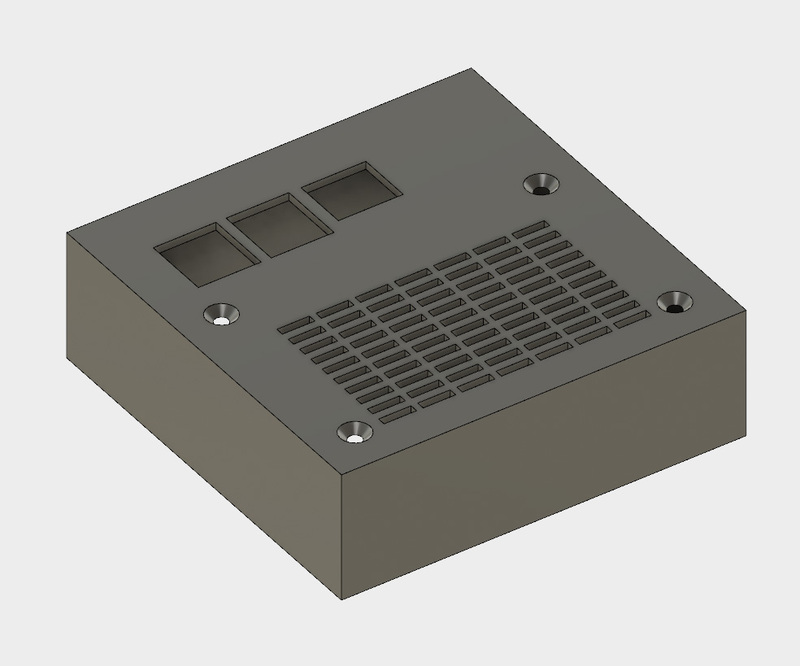 I printed using in PLA, mostly with a 0.4mm nozzle and 0.1mm layer height, the exception being the more detailed front panel component (details below). It's intended to be 3D printed on an FDM printer and each part has been designed with both printing and finishing in mind. To this end, please bear in mind that there will be lots of sanding and painting involved to achieve the build quality pictured here. 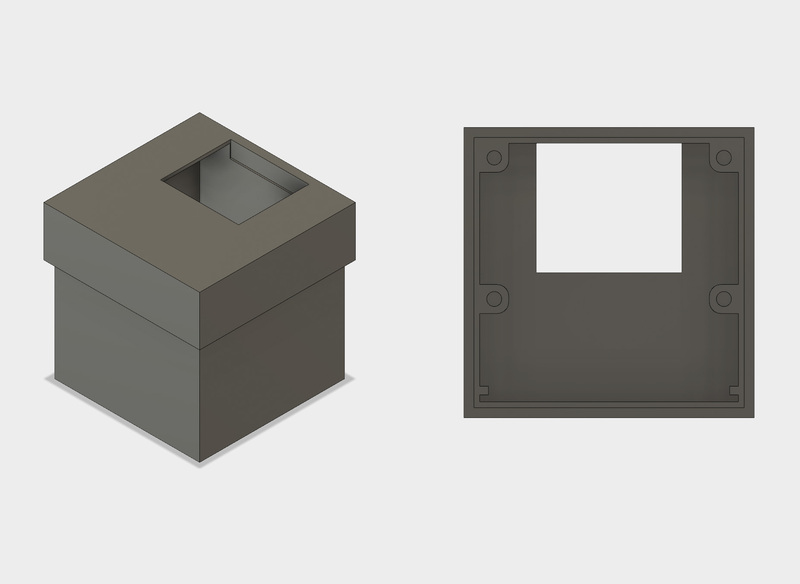 If you would like to make your own, I've put together a set of STL files. I've also put the STL files on Thingiverse. You can likely skip some of the above parts if needed, or modify the design to fit your own parts. This is the main component to which all the other components attach. The thicker section needs a lot of careful sanding to remove the 3D print lines. I ended up sanding and priming about 5 times to achieve a smooth look. The thinner section can also be sanded to make assembly easier. I used a matt black paint (Hycote Matt Black) and several coats were needed. This part can be printed with the cutout facing down and I found it best to use a brim to prevent the PLA from curling up and the edges. Minor curling is OK, depending on how much sanding you fancy doing! At the rear of this part there are four 5mm holes that tha will have 4 heat-set brass inserts put in using a soldering iron as the heat source. These have M3 inner threads so you'll need 4 countersunk screws to screw the parts together later. This is a primarily a decorative panel. 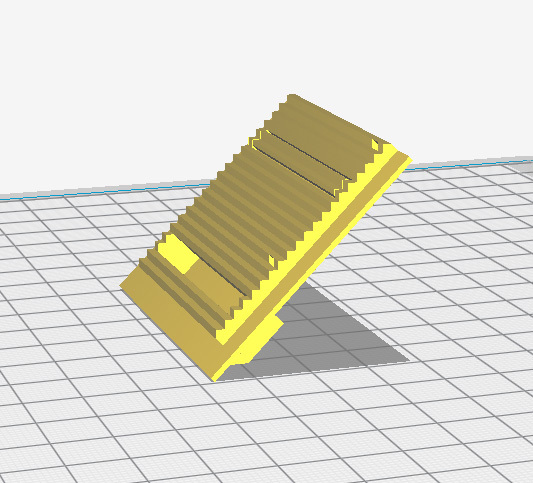 I designed this part to be printed at 45° to achieve a good quality print that needs little to no finishing, support material may been needed however. The fit with the front/body element is intentionally tight. As the detail is quite high on this component, I opted to print with a 0.25mm nozzle - it took a long time to print! I made some 'light pipes' by forcing a small amount of hot glue through the holes intended to be where the LEDs are. I used masking tape to ensure that the glue didn't go too far out of the front of the panel. LEDs were then glued into place so that the light is visible from the front. I then soldered an 82Ω resistor in series with each, added wires, heat-shrink tubing and some female connectors that can connect directly to pins on the Raspberry Pi. I adjusted the configuration file on the Raspberry Pi so that the lights signify power and activity. 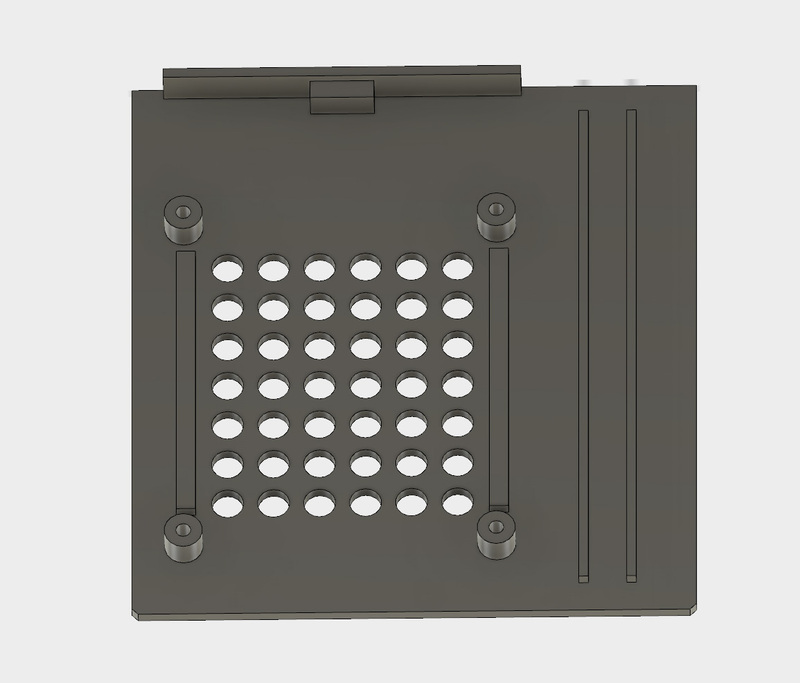 The tray is what the Raspberry Pi is attached to. 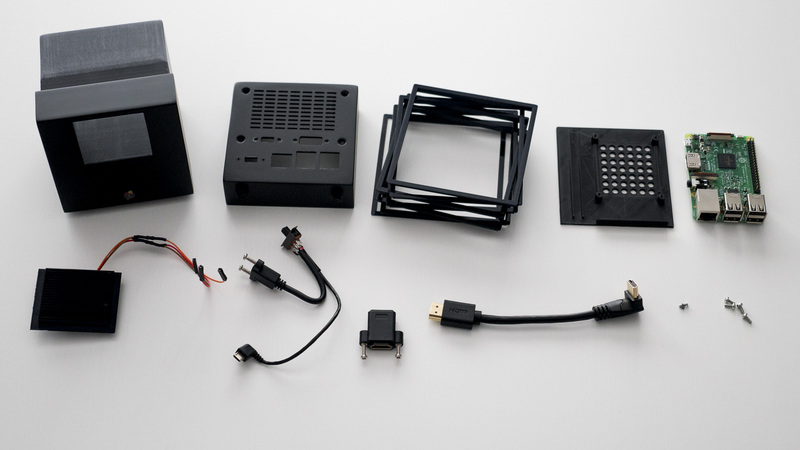 The idea is to make assembly and disassembly simple and easy by removing the need to fasten the Raspberry Pi directly to the main body. This also allows for the additional extension wiring to be as short as possible and for the wired assemble to slide together with ease. I used the four 3mm (4mm length) self-tapping screws to secure the Raspberry Pi. 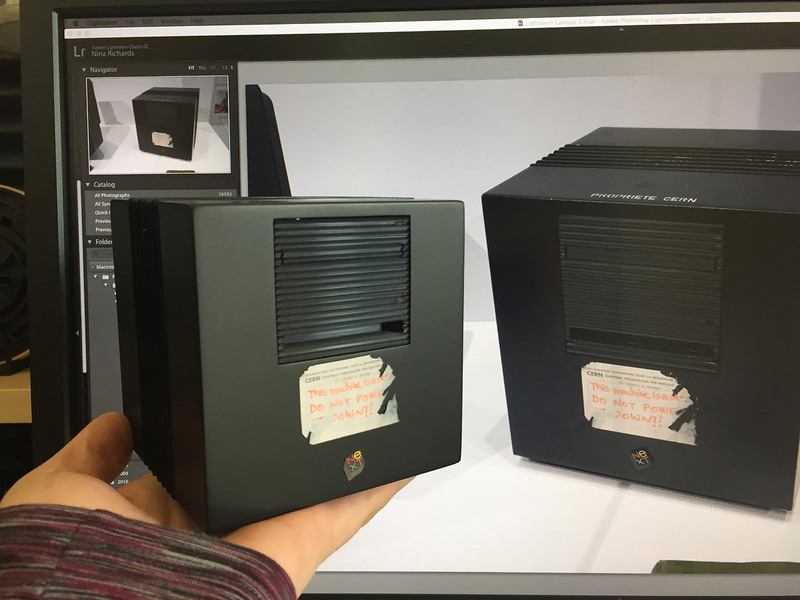 The original NeXT computer has a distinct design with 7 'fins' and 6 spaces in the center of the cube. 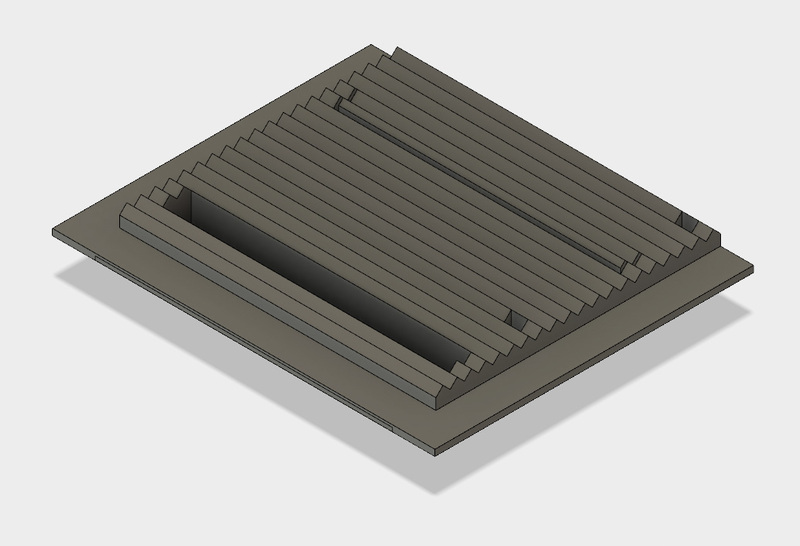 To replicate this, I used 2 different components: 6x fins with attached spacers and 1x fin on its own. These slide over the main body before the back is attached, keeping everything in place. 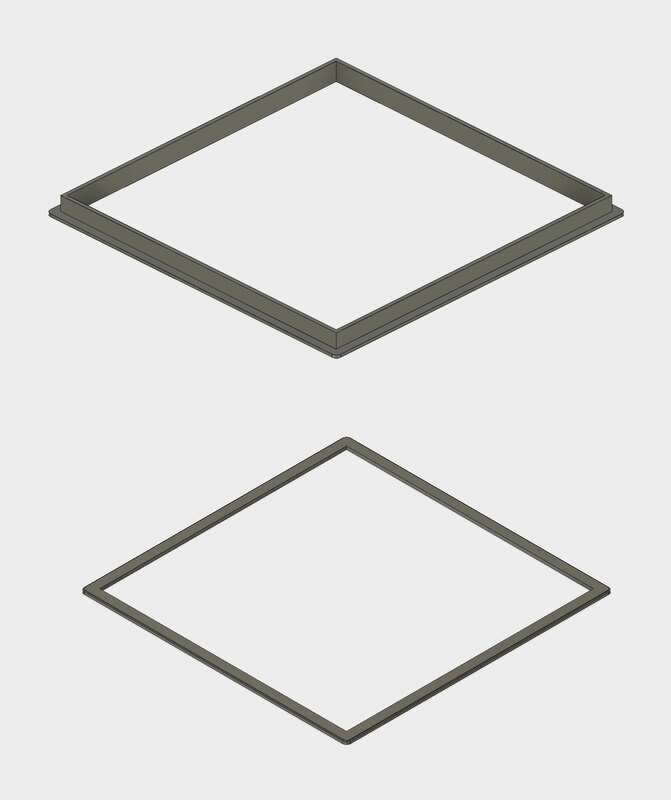 These elements did not require any finishing and looked quite accurate in contrast the the matt black paint of the rest of the cube. 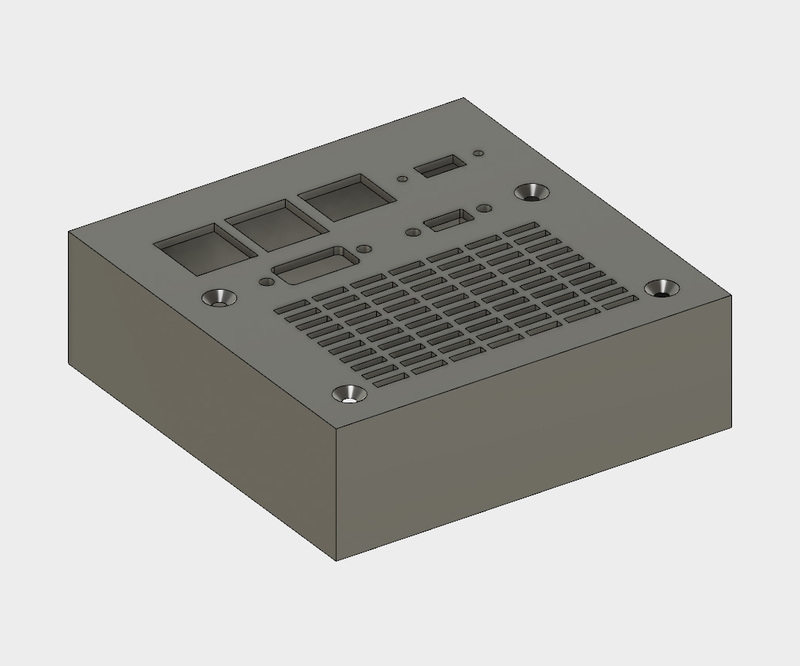 I wanted all ports to be on the back of the case, but the Raspberry Pi has ports all round it. I opted to use short, panel-mounted extension cables for the micro USB and HDMI connections along with an inline switch so that the power can be switch on/off. You may wish to make a different series of connections on the back so I've included a blank version of the rear section as an option. This would allow you to make cut outs after printing if needed. On the original NeXT Computer the logo protrudes a little from the case. I experimented somewhat with a 3D printed base for the logo but the overall effect is just as good with a single paper sticker. I used thick, glossy photo paper and disguised the white edges using a black marker pen after cutting out. 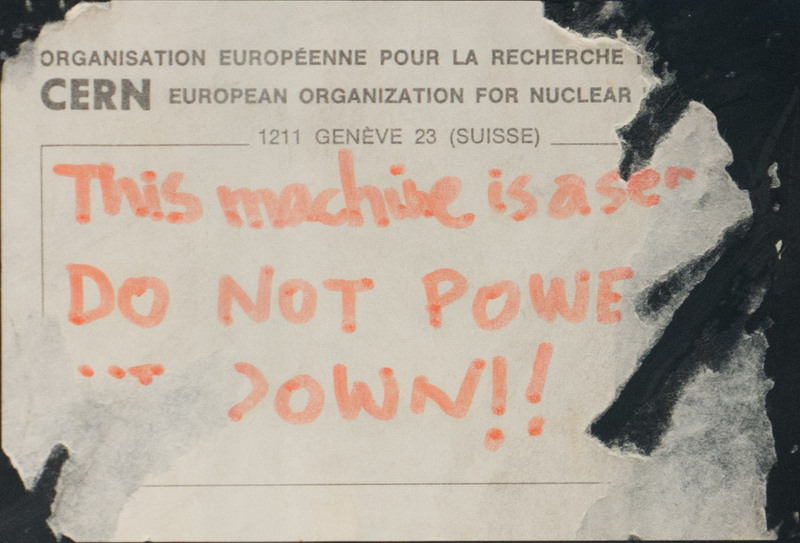 To make it look just like the NeXT Computer used for the first web server, I added a version of the "Do not power down!" CERN sticker. I took a photo of the original WWW NeXT Computer while on display at the Science Museum in London and managed to get a good shot of the sticker. For authenticity, I roughly cut out the sticker before applying it to the cube to give it that peeled off effect.